Chances are, by now you’ve heard of the 5:2 Diet. Also known as the Fast Diet or intermittent fasting, it involves quartering your calorie intake for two non-consecutive days each week, then eating normally for the remaining five days. Weight loss results are amazing, centimetres melt away and the topic continues to trend. Could this be the Next Big Thing? The 5:2 fast diet turns a lot of our beliefs on their heads. For decades, we’ve read articles galore on how to lose weight sensibly. Conventionally, any fasting has been frowned upon, with the assumed wisdom that this approach would be detrimental to our metabolism and health. In fact, even the word ‘diet’ has become a dirty word in recent times. Over 20 years of research from scientists around the world, including 11 clinical trials, reveal that brief periods of fasting, where 25% of one’s usual calorific intake is allowed, has dramatically positive effects on insulin levels, cholesterol and high blood pressure. This type of fasting is known as ‘intermittent fasting’. The 5:2 diet has risen to popularity on account of popular BBC TV medical journalist, Dr Michael Mosley. Mosley dedicated a TV segment to intermittent fasting: ‘Eat, Fast and Live Longer’. Shortly afterwards, a frenzy ensued, which only continued on crazed crescendo after he and writer Mimi Spencer published the best-selling book: “The FastDiet: Lose Weight, Stay Healthy, Live Longer with the Simple Secret of Intermittent Fasting”. What does the 5: 2 diet involve? Intermittent fasting involves restricting your calorific intake on two non-consecutive days each week and eating normally, (but in moderation) for the remaining five days. Therefore, regular tasty food is never far away, making the method more ‘doable’ for many of us, particularly foodies! On the fast days you need to limit your food intake quite a bit to keep within the targeted calorie limit. For example, a woman would have to adhere to an intake of no more than 500 calories. For men, this is increased to 600 calories per day. You need to use your calories wisely on the fast days, as they can be ‘eaten up’ fairly quickly, so it pays to pack in as much nutrition as you can. An example of breakfast may include two scrambled eggs plus one small piece of ham, along with black tea or coffee, which will provide you with approximately 300 calories. Drink your black, green or herbal tea and plain water throughout the day. By evening, you’ll be happy to munch away on a large portion of low carbohydrate vegetables and possibly a small sliver of protein, such as salmon, giving you another 200 calories. But stop right there. You’re done for the day! Scheduling this fasting routine is entirely subjective; some prefer the weekdays while others prefer one weekday and one day on the weekend. Obviously, if you are a social animal and enjoy a lot of wining and dining on the weekend, this routine is best performed on weekdays. For some though, the days of fasting may make it a little tricky to concentrate and could make achieving work goals challenging – it depends on what you do and how much impact the fasting has on your ability to operate. How does 5:2 fasting work? When your body goes through a period of fasting, your system becomes stressed. Now, despite stress generally having negative connotations in our society, our bodies like some stresses. In Palaeolithic times (note, we are NOT talking about the Palaeolithic diet here, just the Palaeolithic period) a cycle of feast and famine was the norm. We would come across food, eat ravenously, and then endure periods without food. Tucking into a steady three meals per day was not usual. When our bodies experience stress, they spend time recovering, coming back stronger and healthier than before. So how does this impact on our systems? Insulin levels are greatly reduced during the fasting period. Consequently, when we return to normal eating, it is harder for our insulin levels to spike and thus our bodies become much more efficient at managing blood sugar. This is a good thing, as for a number of us, insulin levels are becoming a major health problem, with many people becoming insulin resistant (hyperinsulinaemic). Left unchecked, an insulin resistant individual may progress to type 2 diabetes. Purely on a calorific quota, this diet also makes you eat fewer calories. Consequently, you can lose about half a kilo of body fat per week. As long you keep up the 5:2 program, you will continue to steadily lose weight. For those people who are overweight and at risk of heart disease, diabetes, stroke and high blood pressure this diet can bring rapid results. Of course care must be taken that you don’t lose too much weight for your height and recommended BMI – consult your doctor or dietitian for advice on this. 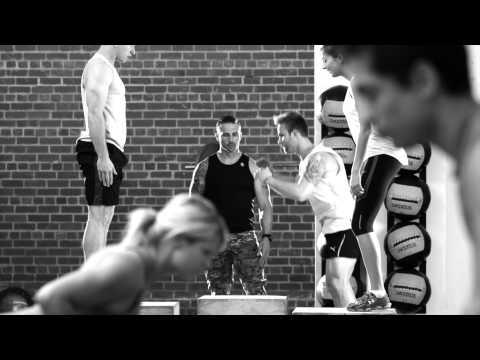 Sage Institute of Fitness – it’s more than a job, it’s a rewarding career. Sage Institute of Fitness Career Partner Sam Merza talks about fitness, employment opportunities & career satisfaction. Government-funded Fitness Courses – Do You Qualify? 5 Reasons Why YOU Should Study to Become a Personal Trainer – Now! How much should I charge for personal training? Want a career in the fitness industry? Here’s what you can look forward to! Is Training Your True Calling? ©2016 Sage Institute of Fitness.